Straw man combines a distinct blend of juices from culinary and bittersweet apples, and is aged on oak, resulting in a complex, wine-like cider with apple and citrus notes and an earthy finish. Iceman uses the process of freezing the juice from culinary and bittersweet apples to produce a rich, complex and unique cider with a crisp apple taste and notes of caramel and toffee. The addition of oak-aging yields a smooth and pleasing vanilla character. 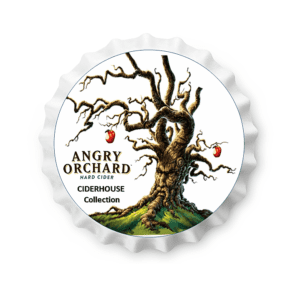 The result is a perfectly balanced, full-flavored cider with clean apple notes and a lingered toffee finish. The Muse is a bubbly, effervescent cider made from culinary and bittersweet apples and aged on French oak. It is sweet upfront with a juicy apple aroma and bright acidity with notes of clove and vanilla, and slightly drying on the finish.